Increased global interest in the Arctic poses challenges to contemporary international relations and many questions surround exactly why and how Arctic countries are asserting their influence and claims over their northern reaches and why and how non-Arctic states are turning their attention to the region. Arctic international relations are a complex of political, economic, development and militaristic dimensions. Throughout the tense years of the Cold War, the Arctic was a region of symbolic military competition between the United States and Soviet Union, but served little practical purpose in the affairs of states. The thaw in relations between the two superpowers was equaled by a thaw in the polar ice caps, and suddenly there was an opportunity for states to assert their claims of national sovereignty over areas in the high north previously considered inaccessible. Analyzing Arctic international relations and politics requires a diverse approach. A first consideration is that there is no singular method of understanding or explaining issues in the Arctic, and studying its politics involves a multidimensional theoretical comprehension. Various theories of international relations can be applied to explain better how and why states and institutions pursue Arctic interests and how these pursuits can sometimes lead to cooperative solutions while others may lead to conflictual responses. Secondly, it is vital to examine the policies of the eight Arctic states, as well as those states that do not border the Arctic but have very clearly defined it as an area of importance. The Arctic states, namely Canada, Russia, the United States, Denmark, Iceland, Norway, Sweden and Finland are a mix of small, medium and major powers that seek to stake their claims in the Arctic for very different reasons. Each are influenced by historical, cultural, political, economic and security calculations and as such, there is no uniform approach to Arctic affairs by the eight Arctic states. Other non-Arctic states, most notably China, India and the United Kingdom have demonstrated interest in the region and have begun to assert their influence over Arctic international relations as well. Lastly, the role of various institutions and governing bodies cannot be understated in attempting to sort through various sovereignty claims in the Arctic. The United Nations, the Arctic Council, the European Union, as well as indigenous peoples’ organizations and the international law framework all have an impact on circumpolar politics. These institutions, whether formal organizational structures or normative institutions, serve to settle disputes, pacify relations, and help to ensure the various stakeholders in the region receive fair treatment. Taken together, the theoretical elements, the state policy aspects and the institutional variables all paint a picture of a region undergoing revolutionary transformation. In this context, the international relations of the Arctic will be pivotal both now and in the future in evaluating global political affairs. Despite the inescapable reality in the growth of interest in the Arctic, relatively little analysis on the international relations aspects of such interest has been done. Traditionally, international relations studies are focused on particular aspects of Arctic relations, but to date there has been no comprehensive effort to explain the region as a whole. Literature on Arctic politics is mostly dedicated to issues such as development, the environment and climate change, or indigenous populations. International relations, traditionally interested in national and international security, has been mostly silent in its engagement with Arctic politics. Essential concepts such as security, sovereignty, institutions, and norms are all key aspects of what is transpiring in the Arctic, and deserve to be explained in order to better comprehend exactly why the Arctic is of such interest. The sheer number of states and organizations currently involved in Arctic international relations make the region a prime case study for scholars, policymakers and interested observers. In this first systematic study of Arctic international relations, Robert W. Murray and Anita Dey Nuttall have brought together a group of the world’s leading experts in Arctic affairs to demonstrate the multifaceted and essential nature of circumpolar politics. 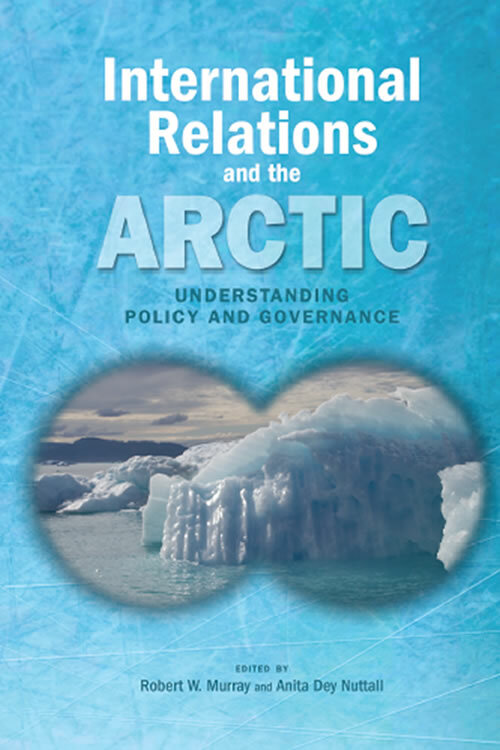 This volume successfully presents the reader with the theoretical tools necessary to approach the study of the Arctic, comprehensive studies of the policies of the eight Arctic states, an introduction to those non-Arctic states pursuing Arctic goals of their own, and the various institutional bodies and frameworks that address Arctic issues. The arguments and research presented by the collection of impressive scholars are not reduced to one ideological outlook nor are they driven by a political agenda. Each chapter presents the reader with something new, interesting and valuable. Together, they paint a picture of a region undergoing profound change both politically and environmentally, and serve to map ways forward to a new and sophisticated understanding of Arctic international relations. International Relations and the Arctic is core reading for political scientists, historians, anthropologists, geographers and any other observer interested in the politics of the Arctic region.